The first SeaWorld opened in San Diego on March 21, 1964. 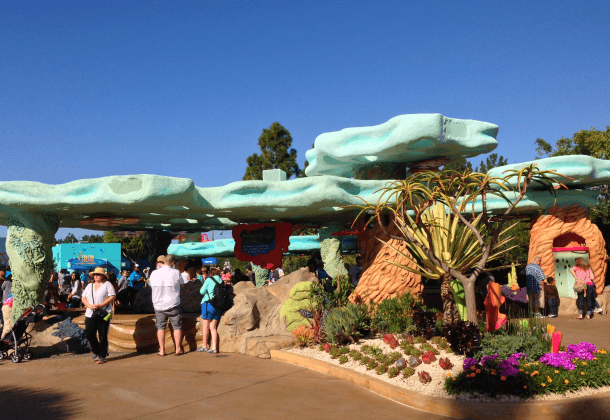 To commemorate SeaWorld San Diego‘s 50th anniversary, the park just opened the Explorer’s Reef to the public. Along with this new interactive animal exhibit, SeaWorld will celebrate for 18 months with a sea of surprises. While SeaWorld San Antonio is introducing a new ski show and SeaWorld Orlando is debuting Madagascar Live! Operation: Vacation to kick off the 50th anniversary, the original SeaWorld is marking the occasion with a complete transformation of the park’s entry. 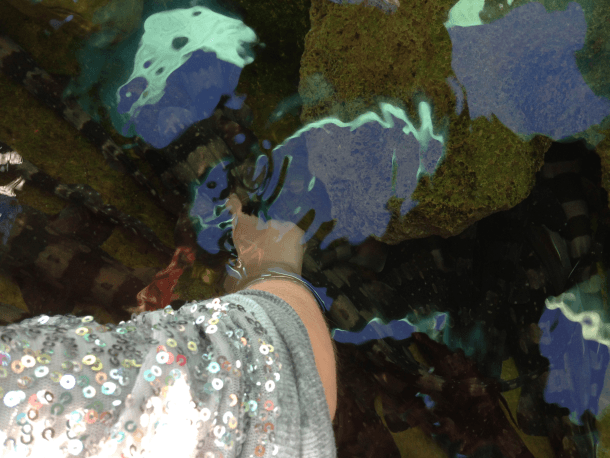 The star here is Explorer’s Reef; multiple touch pools filled with a variety of sea creatures to pet. At the newly located Guest Services, you can purchase admission tickets and sign up for special tours, animal interactions and dining experiences (like Dining with Shamu!). Start your visit out with Starbucks coffee, a whale-shaped chocolate cookie or other treat from the nearby coffee stand. The vast Seaport Marketplace tempts souvenir seekers with t-shirts, toys and other tchotckes. Get up close with the ocean animals that live in Explorer’s Reef. Cleaner Fish, which nibble plant and animal matter from solid surfaces like rocks in the wild, will swim between your fingers. 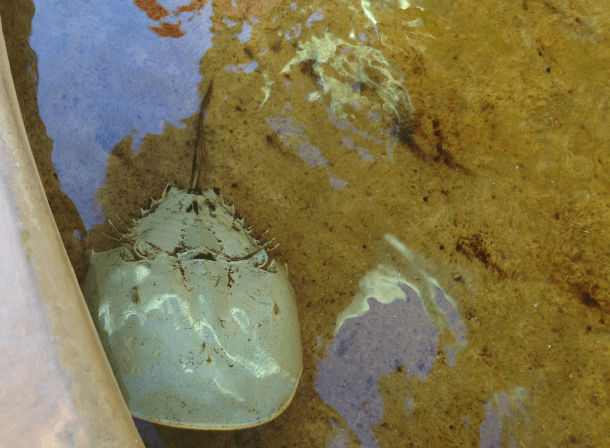 Stroke the hard shell of a Horseshoe Crab, a strange creature with 10 eyes that is actually more closely related to a scorpion than a crab. You can even have a shark encounter by touching the Brown-banded Bamboo Sharks and White-spotted Bamboo Sharks, small innocuous sharks that “walk” along the bottom the ocean’s floor with their pectoral fins. Small rays swim through a pool here too, where children and adults alike can get a chance to feel their slimey, soft skin. 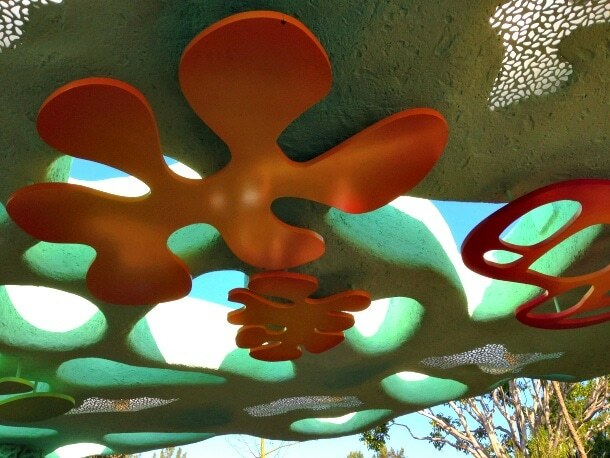 Inspired by waves crashing over a coral reef, the details here are stunning with faux coral sculptures holding up a shade-providing canopy of make-believe water. Ocean sounds and whimsical music plays in the background as your family explores the pools. Live brightly colored flowers interspersed with succulents in beds of seashells add to the exhibit’s appeal. SeaWorld has gotten some pretty bad press lately due to the film, “Blackfish.” Here is SeaWorld’s rebuttal to the claims made in the movie. 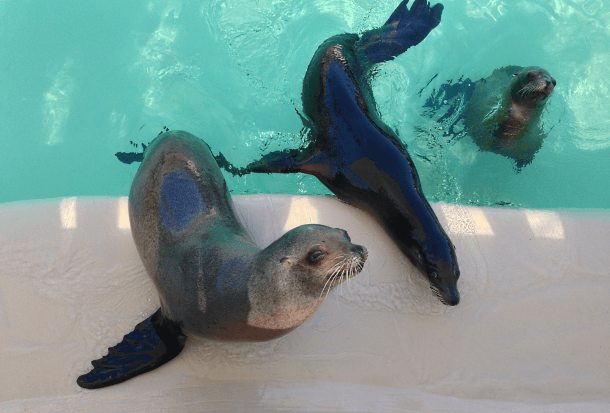 Since its opening, SeaWorld San Diego has rescued more than 6,500 animals and has treated as many as 475 marine mammals in one year. Of these animals, seals and sea lions form the largest share. Birds, such as pelicans, also are frequently rescued. 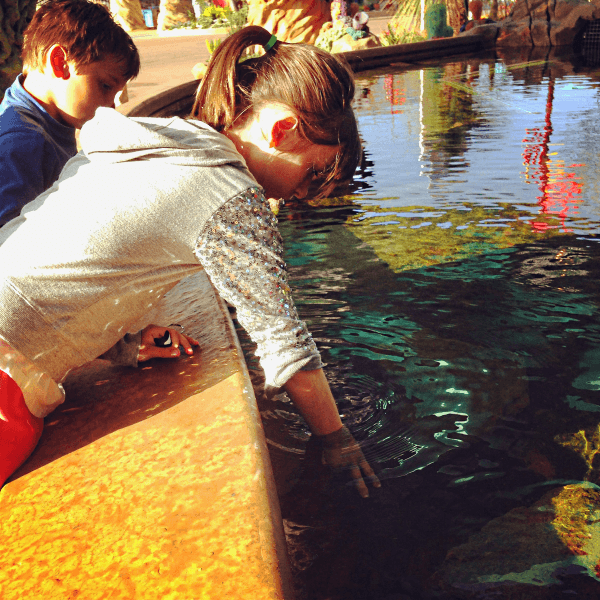 There’s much more to explore at SeaWorld San Diego! Check out these 10 Tips for SeaWorld San Diego for my take on the shows, rides and animal exhibits at this popular theme park. 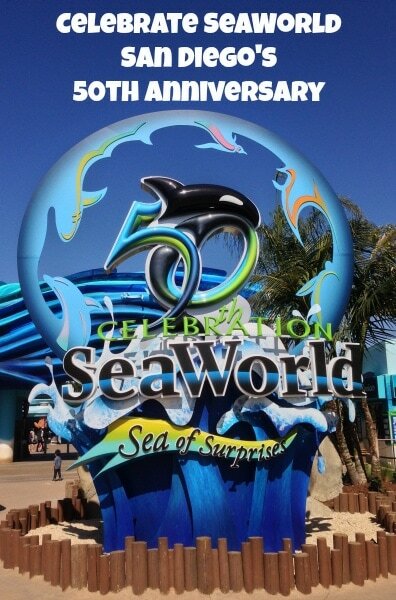 What’s your favorite thing about SeaWorld? Let us know in the comments below! A Note from The Travel Mama: I was invited to preview SeaWorld’s Explorer’s Reef along with other journalists. All opinions are mine, as always. Love SeaWorld- this is super cool, my little girlies would love it!